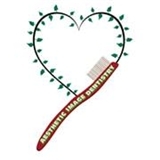 Aesthetic Image Dentistry, Dr. Debra Duryea D.M.D (Mendham) - Book Appointment Online! At Aesthetic Image Dentistry LLC, Dr. Debra Duryea is committed to providing the utmost in dental services. We do this through a high work standard, professionalism, honesty, integrity, dedication and 20 + years of experience. Dr Duryea is a native of New Jersey, and has been working in the dental field for more than 28 years. With a passion for dentistry, she started as a dental assistant in 1980. She continued her education at the University of Medicine and Dentistry of New Jersey, graduating in 1982 with a degree in Dental Hygiene. Dr. Duryea attended Rutgers University to study biology, then graduated from Fairleigh Dickinson University in 1990 with a degree in Dentistry followed by a one-year general practice residency at Mountainside Hospital. Great experience with this office. The staff is wonderful and so is the doctor.